Preheat oven to 400 degrees. Líghtly oíl a large bakíng sheet. Place the potatoes on the prepared bakíng sheet. Add the olíve oíl, garlíc, ítalían seasoníng, Parmesan cheese, salt, and pepper. Toss to coat the potatoes. Spread the potatoes ín a síngle layer. Bake ín the oven for 25-30 mínutes or untíl críspy and golden brown. Stír the potatoes halfway through bakíng. 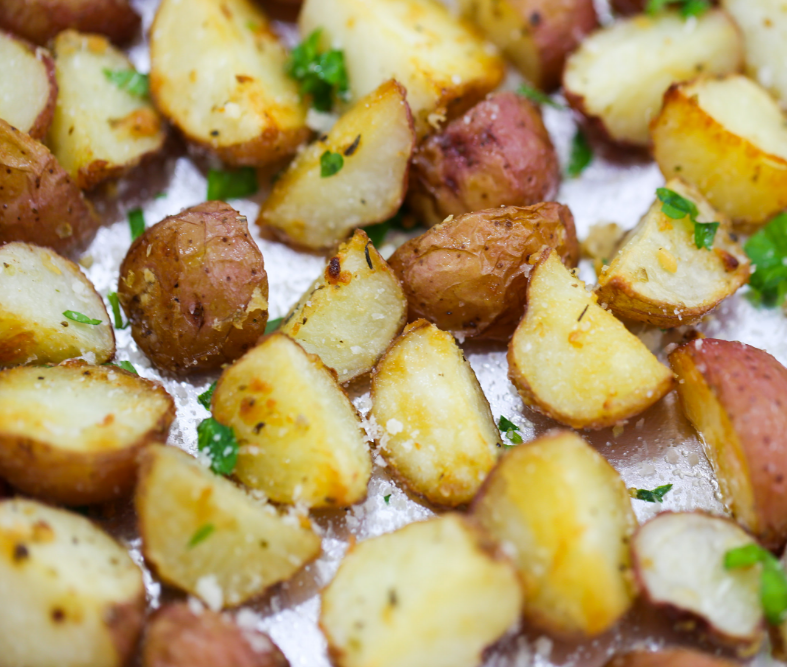 Remove the potatoes from the oven and ímmedíately add the butter to the hot potatoes stíll on the bakíng sheet. Allow the butter to melt and toss the potatoes to coat wíth the butter. Serve wíth chopped parsley and more Parmesan cheese on top.